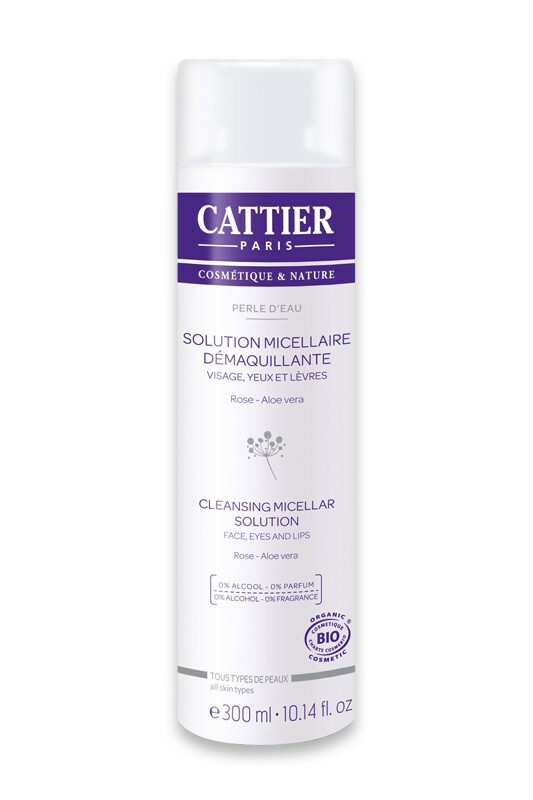 La Solution Micellaire Démaquillante Bio Perle d’Eau Cattier Organic Micellar Makeup Remover gently eliminates impurities and makeup from your face, eyes and lips. Its alcohol-free and fragrance-free gentle formula is enriched with soothing organic rose water and protecting organic aloe vera. CATTIER Organic Micellar Lotion leaves your skin perfectly clean and soft, your complexion is fresh and clean. Available in mini size, ideal for trial and travel ! 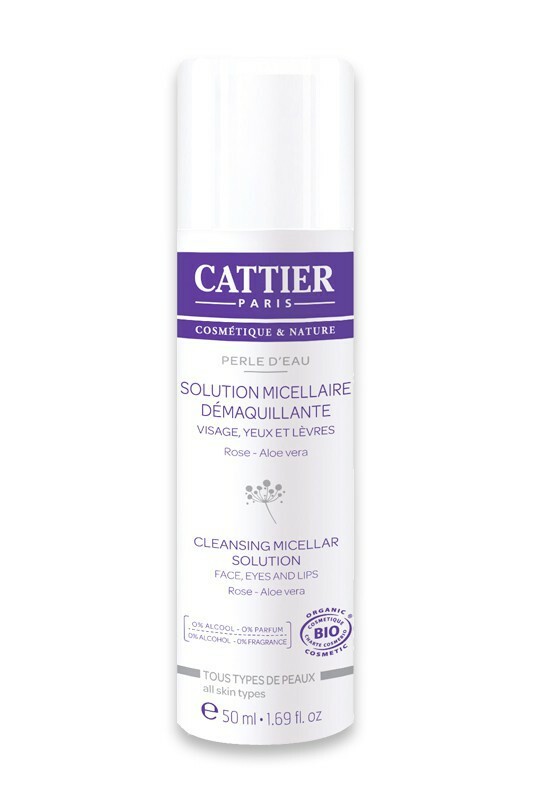 Day and night, soak a cotton pad of Cattier Natural Micellar Lotion and clean face, eyes, lips, neck and decolletage. Renew the application until the cotton pad comes clean. No need to rinse.